Very summery on her floral bike. Looking so fresh and summery. Love her whimsical smile. And love the building style behind her too. If you take the sunglasses out of the equation, she could be in a setting from decades ago. 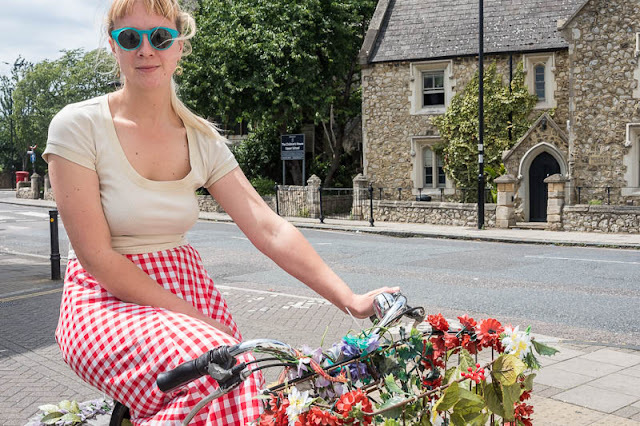 Beautiful bike, lovely girl and it looks like a perfect day to be out and about in London. She certainly represents beautiful London flora! Very summery and an interesting building behind.